April | 2013 | Abez sez Assalamualaikum! 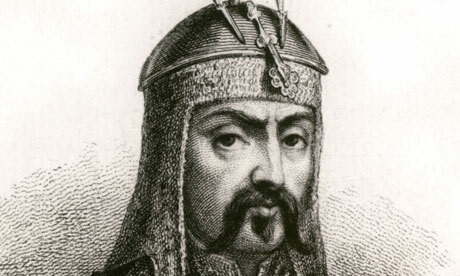 Genghis Khan- conquered Asia and left his eyebrows behind. My father very proudly says that we are direct descendent of Genghis Khan. I believe him, and require no other proof than the eyebrows I inherited from my ferocious genealogy. Regardless of whether I have Genghis Khan’s eyebrows, I definitely have my father’s eyebrows, and while they look perfect on a cuddly, hairy, white-bearded man, they’re a bit out of place on his daughter. When I was 14, my mother sat me down- unprompted- and did perhaps what blonde ladies do tidy up their eyebrows- she shaved off the top half of them and told me to keep it up. Being a non-blonde though, my Genghisesque eyebrows started growing back in right away, and I consider myself blessed to have very little photographic evidence of that awkward, stubbly phase. 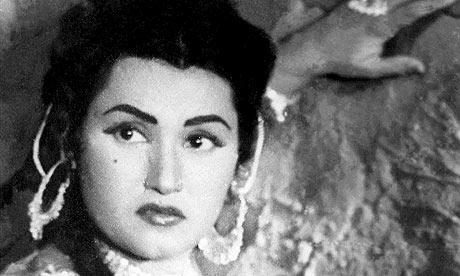 Noor Jehan is a classic example of classic “bow & arrow” eyebrows. Later that same year, my sister and I went to spend the summer with our cousins in Pakistan, and being non-blonde descendants of Genghis Khan and his many savvy wives, they said: “What the heck have you done to your eyebrows! ?” They staged a proper intervention, and a wise elder cousin immediately sat me down and threaded my eyebrows into the Pakistani equivalent of the bow that was meant to shoot the arrow of my glance straight into a young man’s heart. That was my introduction to threading. I had forgotten what my real eyebrows actually looked like. 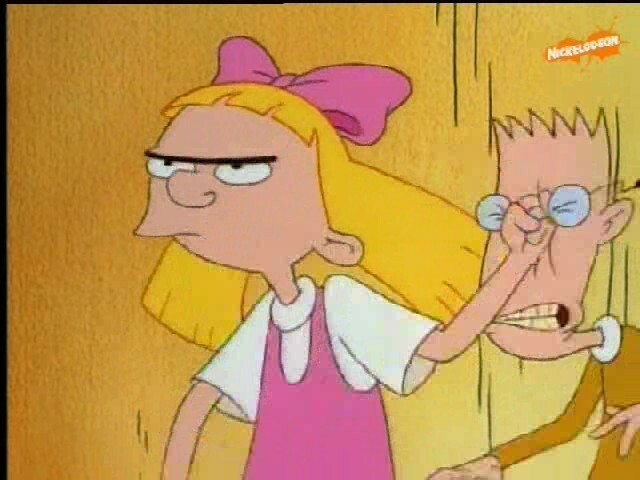 I had grown to believe that my real eyebrows were hideous and that growing them out would cover the top half of my face. It has taken me almost fifteen years to finally stop reshaping my eyebrows, and for the first time in my adult life, I now know what my real eyebrows look like, because I actually have them. I no longer have “eyebrows,” I have Mybrows. It was hard at first to stop shaping them- they grew in seemingly random places and kept straying further and further from the invisible boundaries that I had assigned to them. I would look at myself in the mirror and sigh- and during those months of transition, it was very difficult for me to stick with it. My one source of encouragement- believe it or not- was my husband, and he had no idea what an emotional ordeal I was even undertaking. I glared at him, completely sure that he was somehow part of a conspiracy to pretend like my eyebrows didn’t actually look like caterpillars inching across my forehead. So I went back and dug my wedding photos out of the important archive that is my sock drawer and guess what? My old, thin, highly manicured eyebrows struck me as looking… fake. And while I wasn’t yet in love with Mybrows, I was at least disillusioned with having their artificial looking alternative. The circular consensus seems to be everyone has a real problem with their eyebrows, but everyone ELSE looks fine and they’re just stressing for no reason. In recent fashion, heavier (relatively) eyebrows have come back into the spotlight, I think this is a great time to piggy-back on the bandwagon and wave the flag for more natural looking eyebrows. This tumblr account is, simply named- Thick eyebrows, and you can go here for an assortment of gorgeous ladies with luxuriously large eyebrows- models like Cara Delevinge, Brook Shields, even Audrey Hepburn- looking lovely with eyebrows significantly thicker than the media has previously shown us. While Muslims, of course, don’t wait for fashion to agree with religion before deciding to become religious, it is nice when the media can do a part- even a teeny tiny one- to help boost our natural-looking self esteem when it comes to eyebrows. Yes, the women are all still uncovered, photo-shopped, artfully painted and arranged by professionals- but the point is, they have big eyebrows and they are daring you to make caterpillar jokes about them. Please note- this doesn’t mean I’m saying that things like cleft palates are Divinely created and who are we therefore to alter them. No. Defects in the original human design are permissible to correct, and that’s like replacing a lost eye or reconstructing a face after an accident or congenital birth defect. There’s a difference between correcting a defect to meet the standard and redesigning the standard altogether. Deciding that all of femalekind has been designed with the “wrong” kind of eyebrows is something else entirely. But, seeing as how society in general still has a problem accepting women themselves in different shapes and sizes, maybe starting with a tiny part of women- like their eyebrows- is a tiny first step? In any case, I’m not waiting for society to accept my eyebrows before I do, so here I go. Alhamdulillah, my eyebrows are perfectly designed for whatever it is that Allah has destined for my face. Whether my naturally drop-dead gorgeous arches are meant to be a life-long battle with ego whose victory could yield me Jannah, or whether my hirsute forehead is an exercise in accepting the Qadr of Allah that can be rewarded with a place among the Sabiroon in Jannah- either way it’s fine for me. And since, in the back of your mind, you’ve been wondering what Mybrows actually look like, and you’re looking forward to having that circular conversation where you tell me that my eyebrows are fine and YOU’RE the one who should be in mourning, here you go. I’d love to see your natural brows (so I can tell you they look fine), so if you feel like sharing them, I’ll post them here too. Let the conversation begin. And my tools are bent.